The Doña Ana Arts Council’s Renaissance ArtsFaire is an annual event held at Young Park in Las Cruces, New Mexico. The lake, towering trees and rolling lawns provide an idyllic setting for the Faire. Unique costumed entertainers, medieval decorations and special food booths add to the Renaissance atmosphere. 2019 is our 48th year and we welcome back the Order of Epona Medieval & Fantasy Equestrian Performance Troupe entertaining the crowds as their Knights, Ladies, & Noble steeds are dazzling audiences with a bit of live steel sword fighting on and off horseback, mounted medieval games, races, and let’s not forget about jousting……and the ladies joust too! Also returning is Hawkquest with their majestic birds,and the Dragon's Eye Tavern serves local beer and wine, while food booths offer specialty fare - all with a Renaissance Theme. The Doña Ana Arts Council, Inc. is a non-profit organization whose mission is through the arts, to enhance the quality of life and develop the cultural, educational and economic growth of our community. The Renaissance ArtsFaire is the Arts Council’s major fundraising event. All income generated by gate receipts, booth fees and beverage sales goes to support arts in education and other Arts Council programs throughout the year. The ArtsFaire is a juried art and fine craft show exhibiting only the highest quality arts and crafts. The ArtsFaire, features approximately 125 artist and vendor booths, and is recognized as one of the finest of its kind in the Southwest. The event is widely promoted throughout the region in print, radio, television and social media. Attendance is 12,000 to 15,000 visitors each year. Event hours on Saturday are 10am to 5pm and on Sunday 10am to 4pm. We hope you will join us for this special celebration of the arts. PLEASE READ ALL OF THE INFORMATION PROVIDED. Your completed Renaissance ArtsFaire artist application must be received no later than August 11th, 2019. You will be notified by email on or around August 21, 2019. If selected to participate, your acceptance and payment in full is due by September 2, 2019. CANCELLATION POLICY: Cancellations received by September 15, 2019 will qualify for a 75% refund. Cancellations received between September 15, 2019 and October 1, 2019 will qualify for a 50% refund. There will be no refunds after October 1, 2019. If booth payment is not made by September 2, 2019, we will begin accepting wait-listed applications and you risk losing your space. The 48th Annual Renaissance ArtsFaire will be held at Young Park, 1905 Nevada St, Las Cruces, New Mexico. Approximately 125 artist booth spaces will be available. All spaces are 10’ deep. A single space is 10’ X 10’; a double space is 10’ X 20'. NO ELECTRICITY is available and generators may not be used in the exhibition area without prior approval from Faire staff, and unless they are concealed and sufficiently muffled to prevent disruption of other exhibitors. Two artists may share a booth space ($100.00 charge per additional artist) only upon acceptance of both artists by the jury. If sharing a booth, each artist must submit a separate application and jury fee. Applications must be submitted together. Please designate one person as responsible for the fees. Applicants must submit their images and application online through Zapp. Hard copy submissions will not be accepted. A single artist entering more than one category must submit one completed application, and a jury fee for each category entered. We cannot guarantee specific booth space or location; however, we will consider requests after payment has been made. ELIGIBILITY: Artists working in any of the listed categories are eligible as long as their work is original; completed by the exhibiting artist and does not consist of buy-sell products. The exhibiting artist must be present throughout the Faire. REPRODUCTIONS: Prints and giclees must be represented as reproductions of work. ITEMS NOT PERMITTED FOR SALE: Buy-sell will not be tolerated. (Any imports, manufactured items, or work that has been produced from kits, patterns, plans, prefabricated forms or other commercial means can be expected to be removed). Manufactured products that play a subordinate role and are not sold separately may be included with a purchase (frame, necklace chain, etc.). Also any objectionable items that are not fit for a family-friendly environment may also be removed by staff. No imported, kit, or commercial objects will be accepted. No T-shirts or caps with reproductions of art allowed. COMPLIANCE: DAAC staff and Board Members will visit all displays at intervals throughout the show to ensure that exhibitors comply with all rules. It is our exclusive right and responsibility to remove work that is not in compliance. The Doña Ana Arts Council has the exclusive discretion and reserves its right to exclude any vendor from the Renaissance ArtsFaire. WAIT LIST POLICY: if an exhibitor does not submit booth fees by the deadline or cancels, the open space will be offered to an exhibitor on the wait list in the same category, or to an exhibitor whose work fits in best with the surrounding booths. We do not have a numbered waitlist, each cancellation is considered on an individual basis. BOOTH DISPLAY AND STRUCTURE: Work that is presented attractively can be an important factor in sales as well as a positive contribution to the overall appearance of the show. Please plan your booth carefully and make sure it's attractive and easy for customers to come in and look at your work. Tables must be covered or skirted to the floor on all sides showing, with a suitable, professional looking cover. Please conceal boxes, storage bins, ice chests etc. All signage must look professional - no 'Sale' or 'Discount' signs are permitted. No signage or flyers advertising other shows or businesses are permitted. Displays must be contained within booth boundaries and may not interfere with adjacent booths or aisle space in any way (no over-hangs or extensions). Exhibitors must supply their own shade structure and decorate their booth(s) with the Renaissance theme. ARTIST PREVIEW/SILENT AUCTION: The Faire will include an Artist Preview/Silent Auction for the benefit of the Doña Ana Arts Council’s programs and activities. All artists participating in the Arts Fair must contribute an item to the silent auction, no exceptions. The item should be representative of the artist’s work that is being exhibited, although not necessarily at the same scale. Besides being a successful fundraiser, the Artist Preview/Silent Auction provides a welcome introduction to the variety of art that is found at the Faire. Visitors have a chance to preview artists' work in the Artist Preview/Silent Auction tent auction before going into the main Faire exhibit area. Artists should contribute pieces that will stimulate interest in their work. THEME/COSTUMES/DECORATIONS Costumes of the period also lend a special ambience to the Renaissance ArtsFaire. Remember, your application to this Faire indicates that you are willing to participate in the Renaissance theme and your medieval attire and booth decorations add a special ambience to the entire Faire. Cash prizes will be awarded to Best Booth Decoration and Best Costume. A photo of your booth must be included with this application. Future acceptance to the Faire will depend on your cooperation in keeping with the Renaissance theme. ARTISTS’ DEMONSTRATIONS: Artists are encouraged to demonstrate their talents. Faire-goers enjoy watching the creative process, and you as an artist, will gain attention. PARKING: This is an outdoor show and all vehicles and trucks are parked outside the Renaissance ArtsFaire enclosure. There is limited vehicle access to spaces during set-up, but no vehicle access to the park during the show. The Faire site is fenced and exhibitors must only use official entrances after 9am Saturday morning. Any exhibitor responsible for cutting the fence during the weekend will be required to reimburse the Arts Council for all repairs. Vendor parking is available in areas adjacent to the park. The parking lot for Young Park is reserved for those with disability plates or special placards. NO PETS, except service animals, are allowed on the Renaissance ArtsFaire site. DO NOT bring your pet and leave it in your vehicle, as animal services will be notified. SET-UP: Friday, November 1, 2019 from 8am-4pm. Each accepted artist will receive an email containing check-in times and instructions. We recognize some artists travel several hours the day before the Faire. If you are unable to set-up at your designated time you will be allowed to check-in any time before 4pm. on Friday or on Saturday, November 2, 2019, if needed from 7-9 am.You must be completely set up by 9am on Saturday, November 2nd. (Booth judging will begin at 9:00am. Exhibitors who have not called or checked in by 5:00 pm Friday, November 1, 2019 will be considered a no-show and will forfeit their booth. Call (575) 639-1231 to report a delay. We recommend each vendor at the Faire have liability insurance for their booth/merchandise. The DAAC purchases general event liability insurance, however, we encourage you to have your own booth and product liability insurance. Please have your declaration page on-hand during the event and indicate that you have this insurance at the end of your application. If you need insurance, you may obtain it online at https://www.actinsurance.com/. 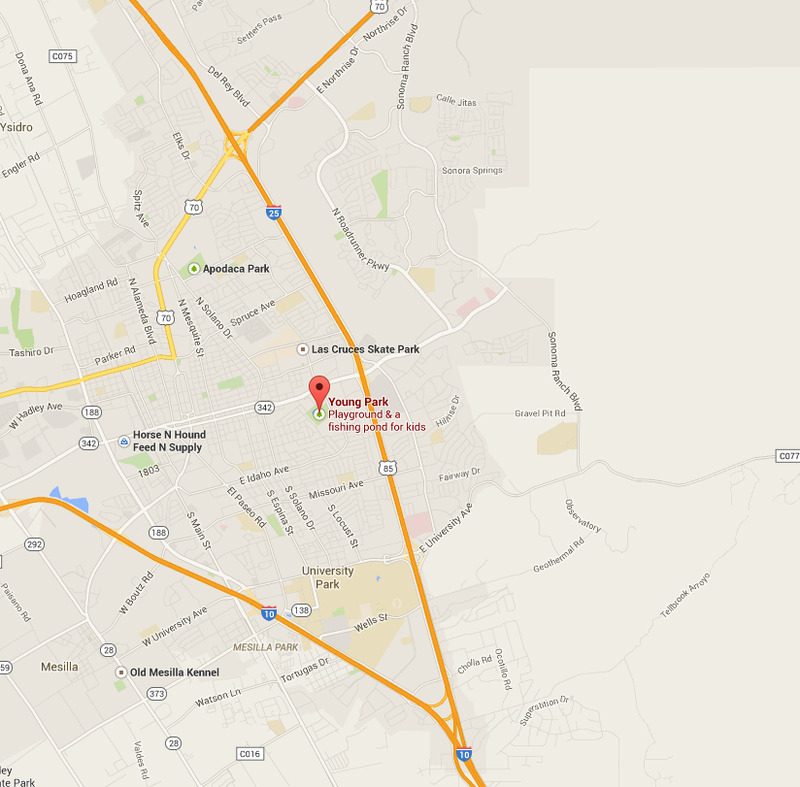 You must name the Dona Ana Arts Council and the City of Las Cruces as additional insureds. HOLD HARMLESS: The exhibitor agrees to hold harmless the Doña Ana Arts Council (DAAC), and any of its employees, directors, or volunteers from any damage or loss to exhibitor’s property or any personal injury he/she or helpers may sustain during the event. Arts Council reserves the right to cancel the Renaissance ArtsFaire due to acts of God, weather, or unforeseen events out of the management’s control, in which case Arts Council will not be liable for refunds or other liabilities. Arts Council may use photographs/videos of the exhibitor taken by Arts Council representatives for publicity purposes. PUBLICITY: During the Faire, photographers working for the Doña Ana Arts Council will be photographing or videotaping the event. By submitting an application, all artists agree to be photographed or videotaped by the Arts Council representatives. Photos and videos become the sole property of the Arts Council and may be used for publicity purposes, without compensation to any persons in the photos or videos. SECURITY: Overnight security will be provided Friday and Saturday nights. However, participants exhibit all work at their own risk. The Arts Council will not be responsible for damage, theft, or loss of any exhibitor’s work, display or decorations during or after exhibition hours. Exhibitors should make arrangements with their own insurance companies for proper coverage. SALES TAX: You are responsible for collecting and reporting Sales tax in Las Cruces. Tax information will be sent to you approximately one month prior to the ArtsFaire. RESTRICTIONS: Work displayed must reflect the quality of artwork depicted in application images and an exhibitor may only display work in the accepted category(ies). Do not bring work for which you were not juried. Faire management reserves the right to remove exhibits that have been falsely entered or that are unsuitable or objectionable. This includes music, noise, animals, scents, printed materials or anything else that the management finds objectionable. Refunds will not be given in these cases. Any artist found to have violated these rules will be required to close their booth until it is brought into compliance.